Venice is incredibly unique. 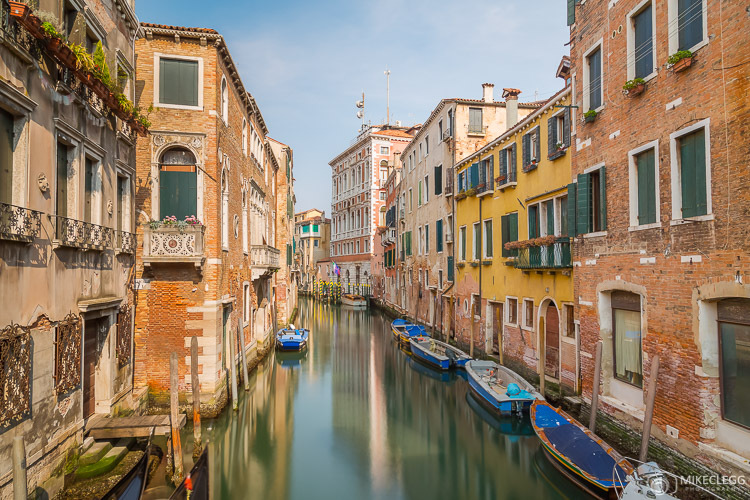 The city is in the shape of a fish and consists of 117 islands with 150 canals and over 400 bridges. The architecture is old and gothic but also has a bit of Byzantine and Moorish influences. 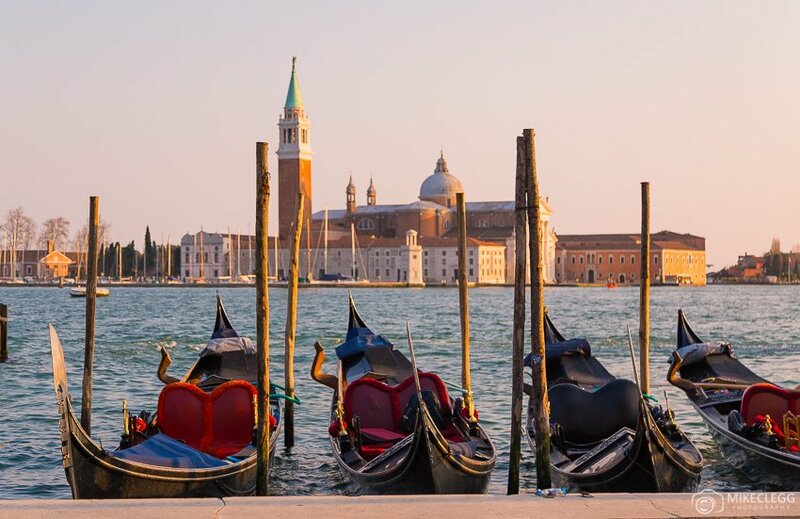 The city has no cars, therefore you can walk along the interlocking streets, get the affordable water taxis, or the pricier but very popular Gondolas. Of course if you prefer you could also hire a boat. 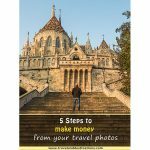 In this post you’ll find a selection of photographs that will probably make you want to visit and see this incredible destination for yourself. Getting to Venice is easy. 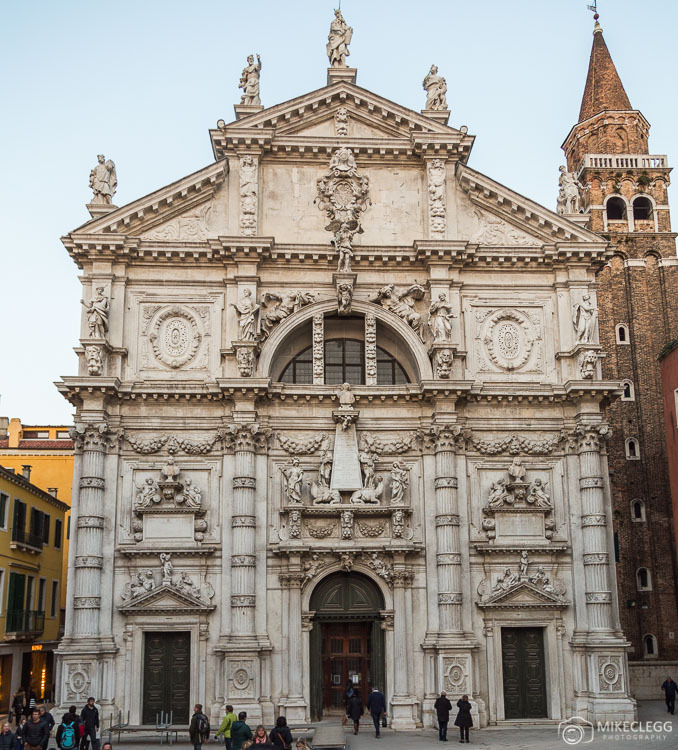 You have the option of the train which stops at Stazione di Venezia Santa Lucia located at the top of the city. 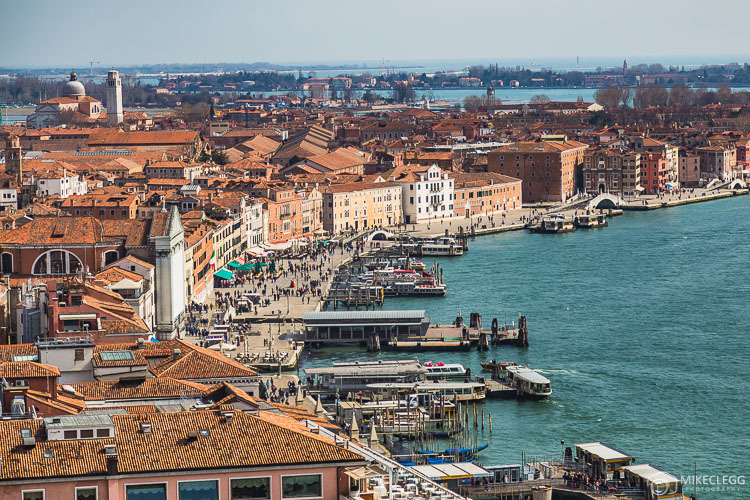 If you are flying then Venice Marco Polo Airport is just outside of the city and then you get a bus or water taxi, or you could use an intercity bus service such as FlixBus. 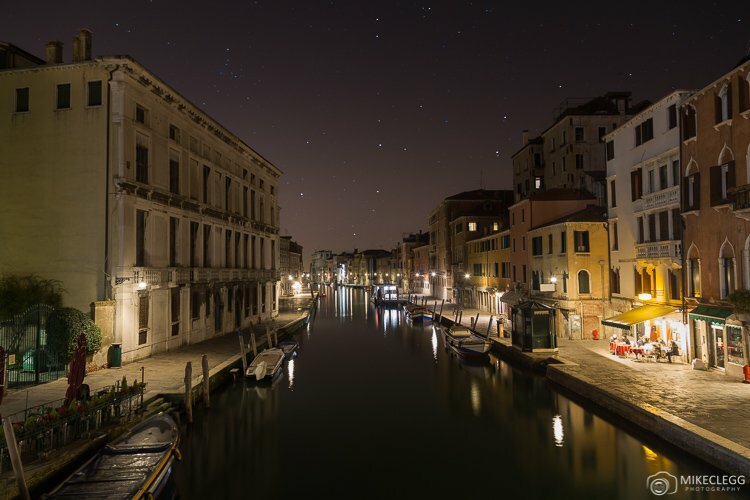 The Venetian Lagoon at night. During my visit I arrived by train from Rome, the trains were fast, modern and very affordable. Head to italiarail.com to book your ticket. Even first class wasn’t that expensive when I booked (but book well in advance). 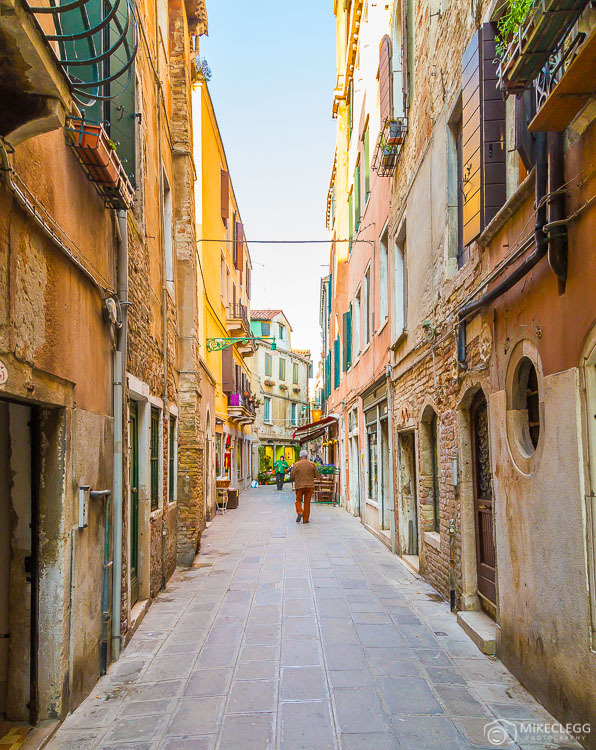 Venice is like a maze of narrow streets and a great way to experience the city is to just allow yourself to get lost. I actually have extremely good navigational skills, but I still managed to get slightly lost. 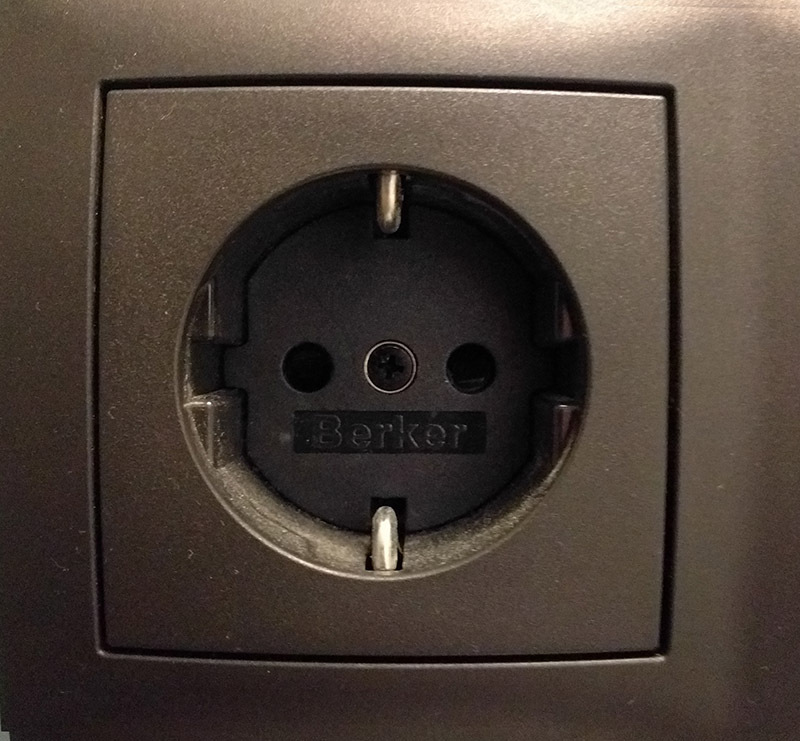 If this happens to you somehow you will always find your way, which makes the experience quite fun. 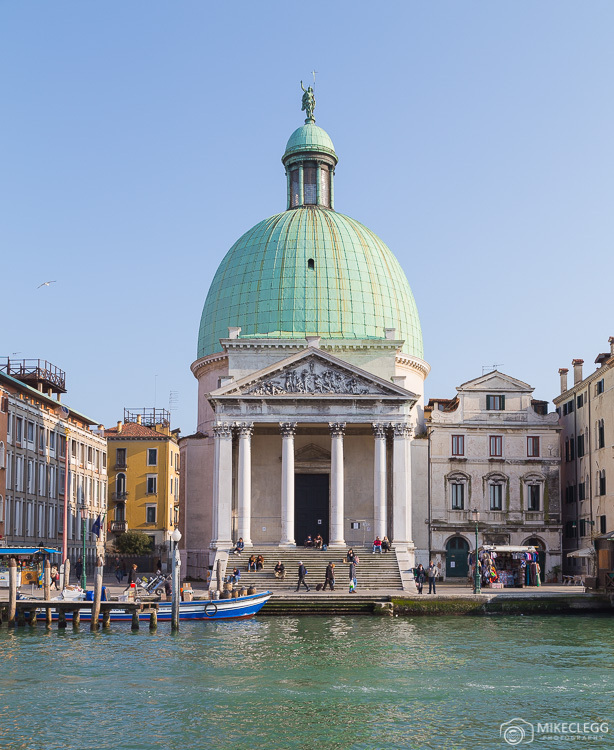 When walking around on foot a good central point is Rialto Bridge in the centre of the city that crosses the Grand Canal, as well as St Mark’s Square at the South of the city. The canals of Venice are beautiful and you will find yourself constantly stopping to take pictures. Either side of the beautiful water will be the typical old Venitian architecture which makes for perfect shots. 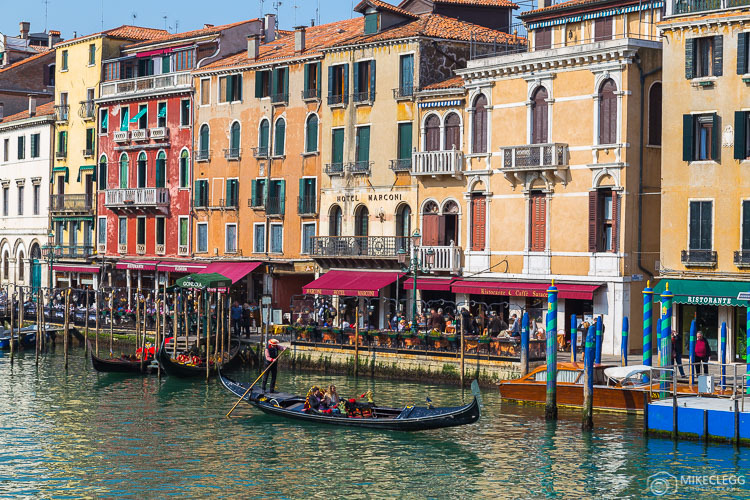 One of the famous attractions in the city are Gondolas, where you’ll be guided along the canals by a Gondolier, often in a very cool black and white striped shirt. These can be quite expensive but a very fun and romantic experience. You have probably seen the famous Venetian masks. 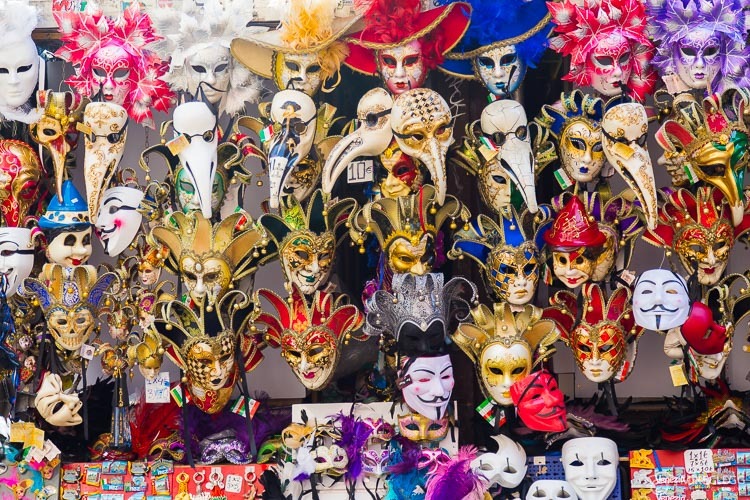 These iconic items are hard not to admire (or purchase), and every year at the Carnival of Venice you will find people flocking to the city to join in with this incredible festival. To learn more about the Carnival of Venice head to carnevale.venezia.it. Probably being one of the most famous squares in the city St Mark’s Square is a must see. 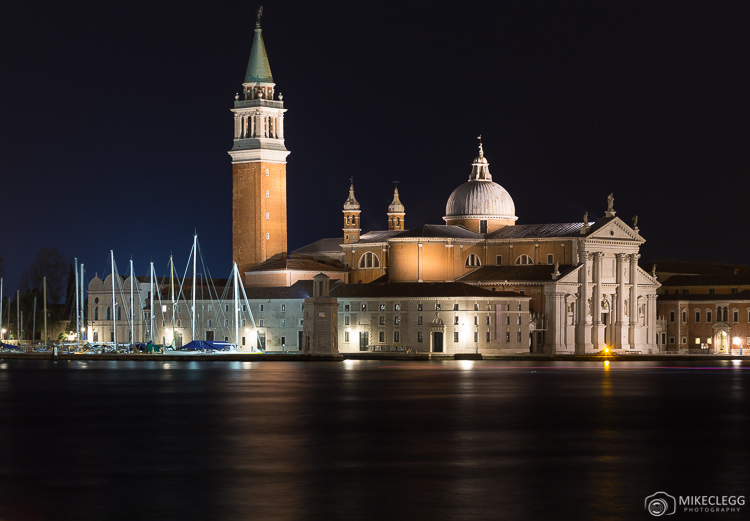 All around this area is impressive architecture including Saint Mark’s Basilica, Doge’s Palace, stunning facades, and San Marco Campanile, which is a large tower where you can get high panoramic views of the city. St Mark’s Square in Venice during the day with St Mark’s Basilica and the Campanile tower in the distance. Throughout the entire city and also on nearby Islands are very impressive religious buildings such as below. These are great to admire from afar as well as visit inside. 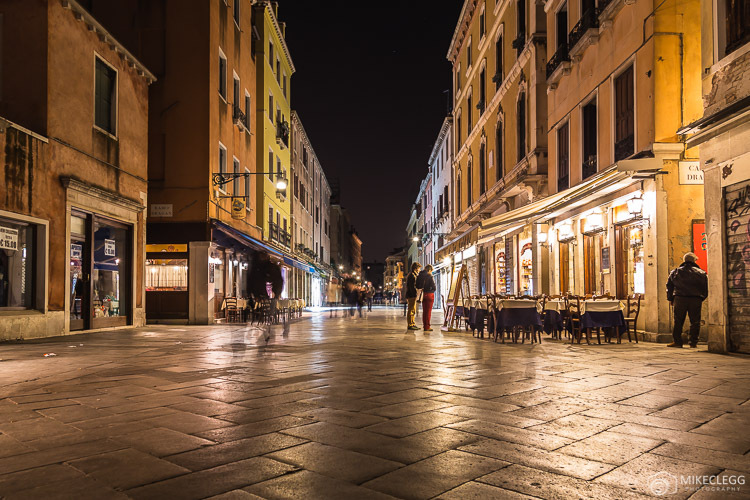 There’s not much room for alfresco dining along the narrow streets, but at the main squares such St Mark’s Square, Campo Santo Stefano, and along the canals at various places, such as Near Rialto bridge, you’ll find plenty of outdoor dining. At the main squares the food can be a bit pricey and you may find eating at one of the restaurants only 5 minutes walk away will be just as good and a lot more affordable. Have a look on tripadvisor.co.uk for some ideas and reviews. 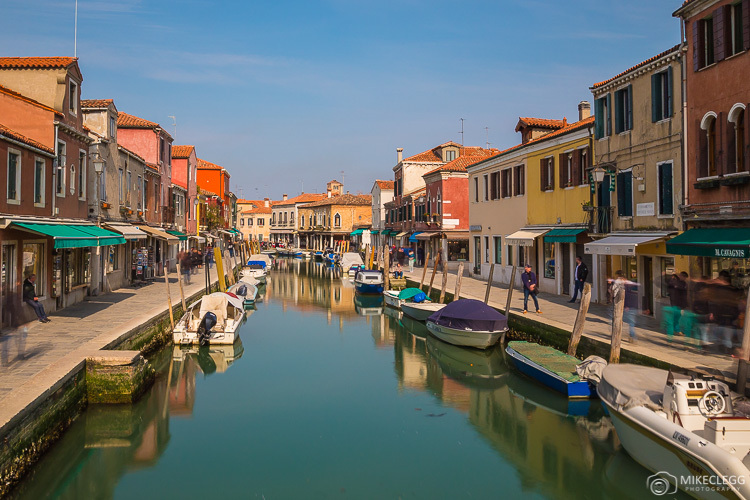 Outside of Venice and easily accessible by boat or water taxi is Murano, which is a famous place for glass art. Similar to Venice there are canals running through the city and either side are restaurants and shops. 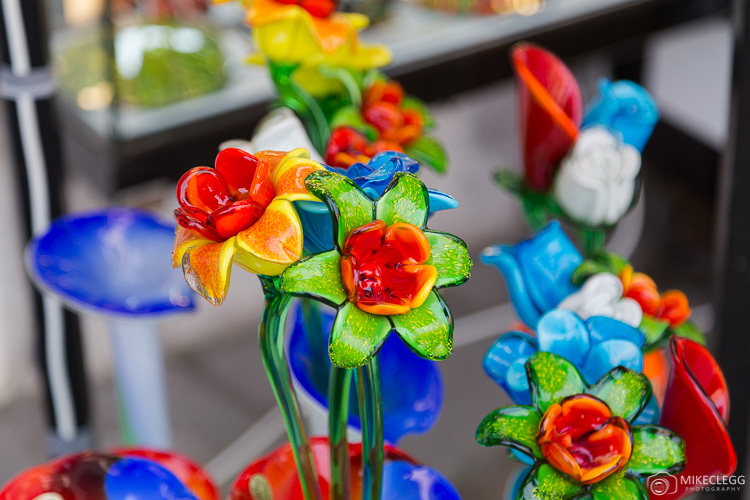 Many of the shops sell glass art such as ornaments, lamps, wine stops and almost anything else imaginable that could be made with glass. This is one of my favourite places I’ve ever been. 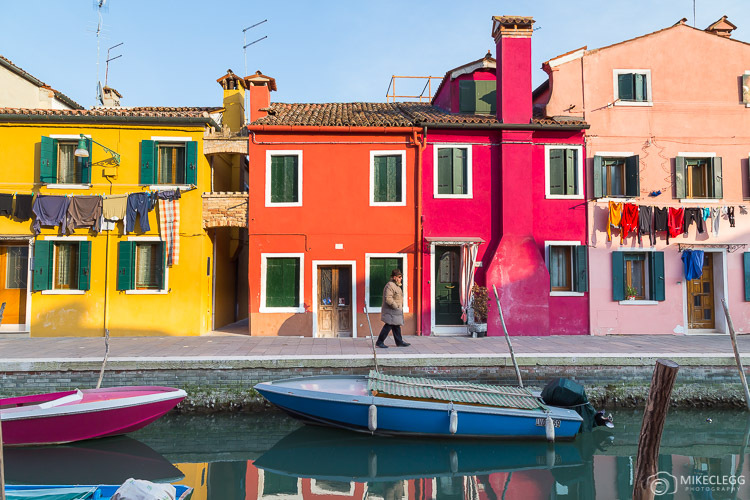 There probably aren’t many places in the world as colourful as Burano, and whilst walking around you almost feel like you are in a children’s Television show. Each house on the island is quite small and painted a different vibrant colour. 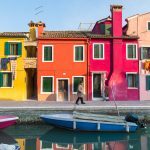 In Burano if you want to change or repaint your house you have to get permission from the local government and they will tell you the colours that you are allowed to use. During my visit I stayed at www.venice-bb-venezia.it which was quite simply superb. The host Alessandro was fantastic and recommended places for pizza, pasta and ice cream, as well as advised on how to get to the main attractions and other tips and advice. On top of this, he made some incredible Bruschetta for breakfast and amazing Italian coffee. 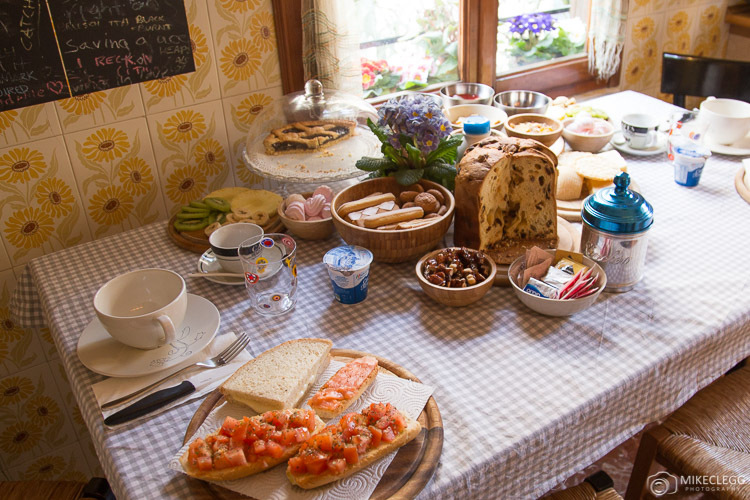 As well as what you see below there were lots of other options for breakfast. 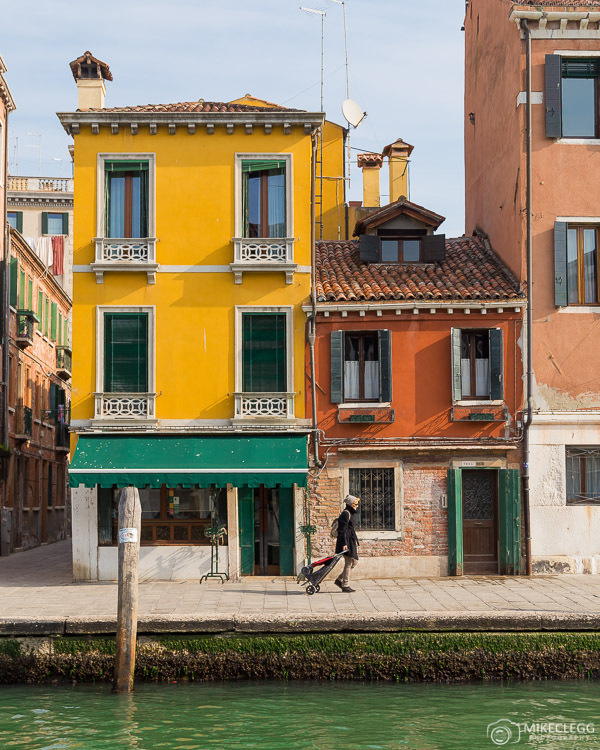 Here are some photography tips related to Venice. 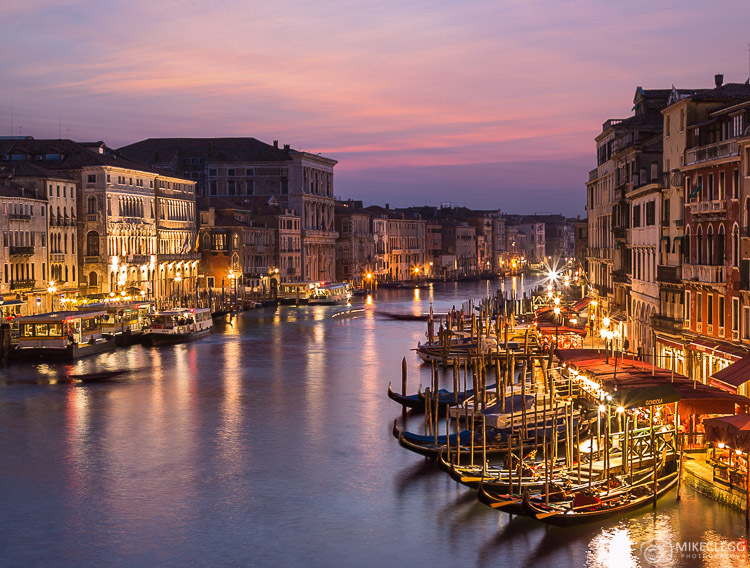 The view from Rialto Bridge towards the West is particularly nice around sunset and the blue hour. Other good sunset spots are around the waterfront at Riva degli Schiavoni near St Mark’s Square. 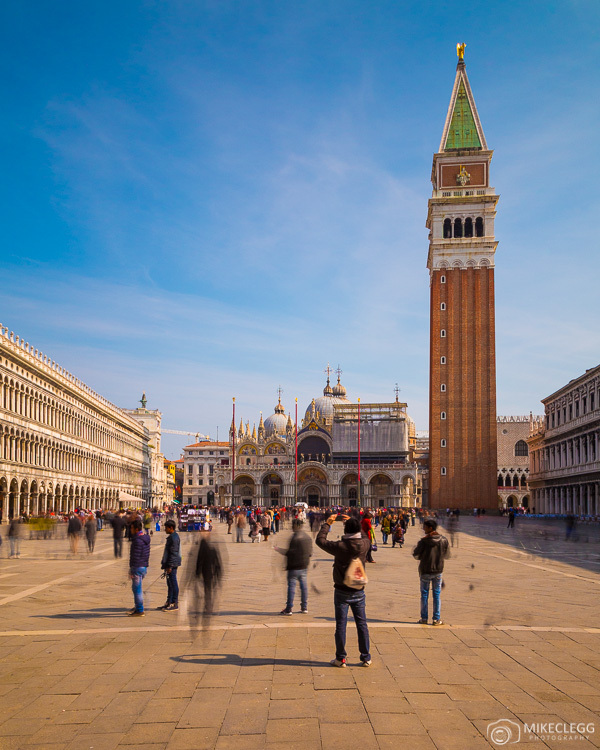 Head up San Marco Campanile at St Mark’s Square for amazing panoramic views of the city. 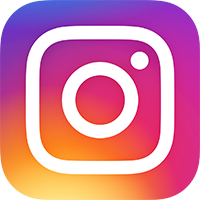 Consider using an ND filter for taking photographs along the canals for smooth water and tones. 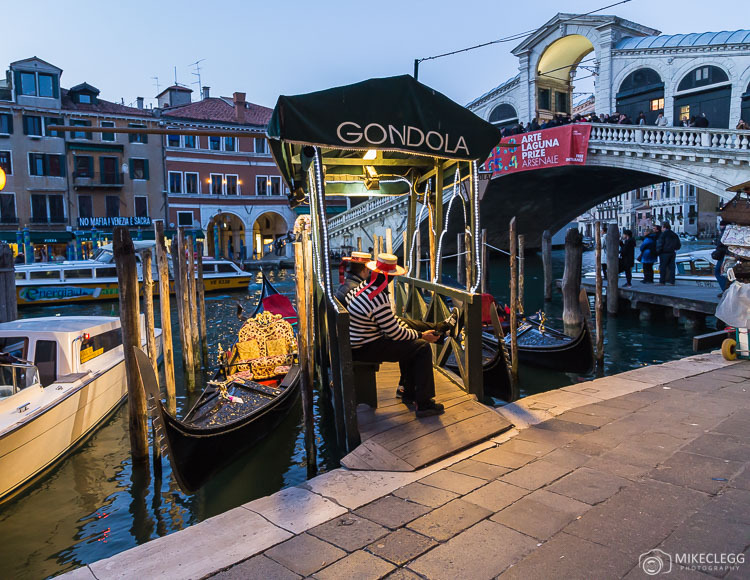 Try and capture Gondolas in your pictures to add a local element. 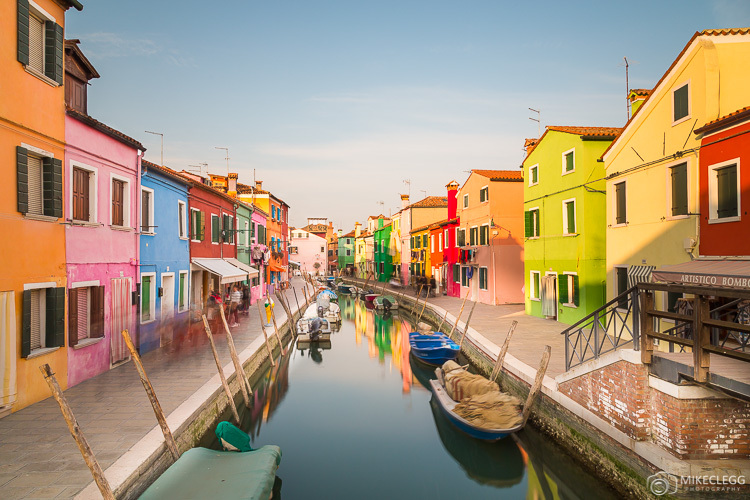 Make sure you definitely head to the Island of Burano (pictures above) for incredible colourful architecture. 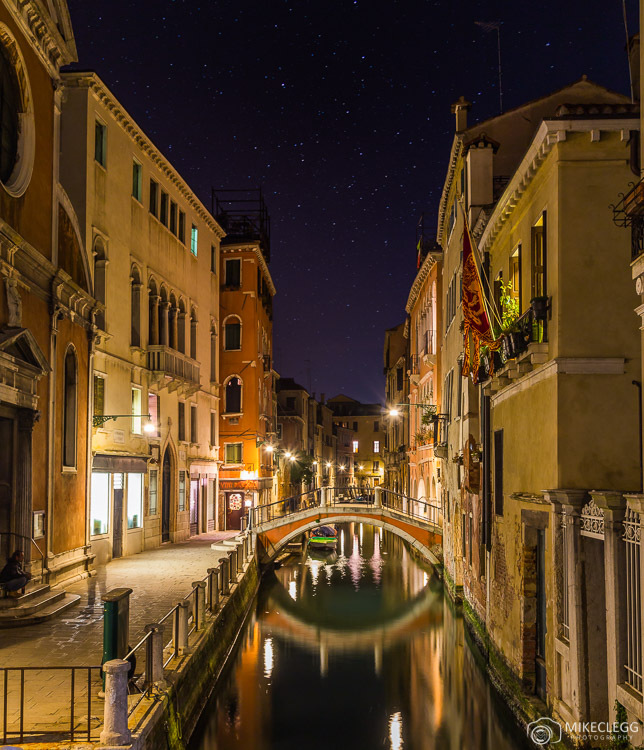 Hey Buddy!, I found this information for you: "Over 20 Photos Of Venice That Will Make You Want To visit". 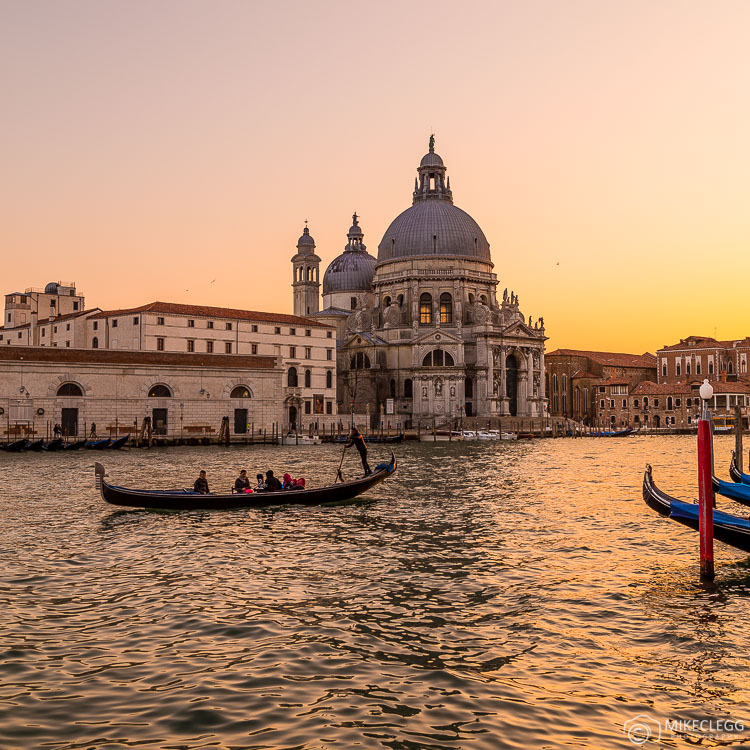 Here is the website link: https://www.travelanddestinations.com/photos-that-will-make-you-want-to-visit-venice/. Thank you.